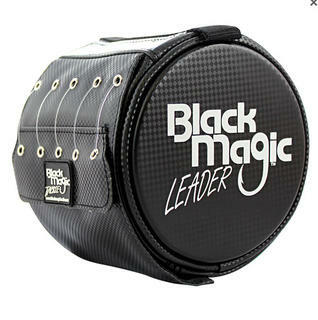 Discount Fishing Tackle Prices on Quality Fishing Tackle. 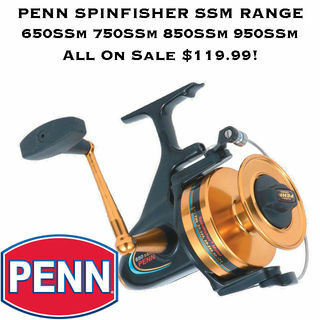 Buy everything you need for fishing direct online or in store. 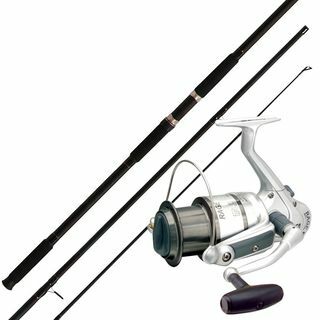 Red-hot fishing deals on everything in this category including some of the best rod and reel combos, top quality brands of fishing tackle, braid, mono line, lures and accessories and mid quality fishing gear. Our tackle warehouse is overstocked so we are selling discount fishing tackle at wholesale fishing supplies prices! 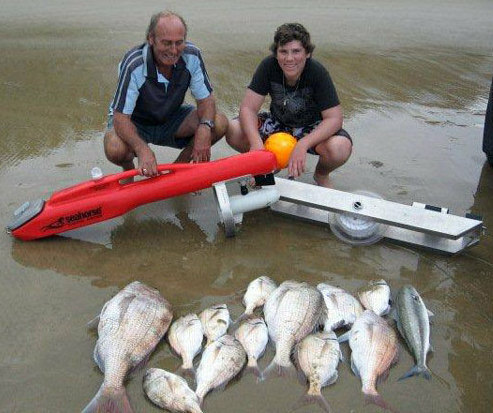 Catch your limit of good sized snapper on New Zealands most productive Paul's Fishing Systems Snapper Longlines or get the bits and build your own DIY snapper longline. 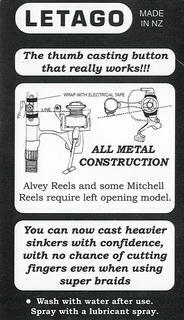 All PFS longlines incorporate only the best components. 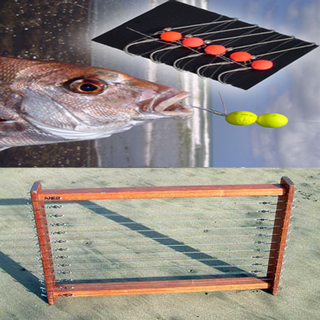 Target Snapper Hooks (the best snapper catching hook by scientific tests), tangle free In-Line Longline Clips and commercial fishing grade Pre-Stoppered Hook Sections, Floating Bead Traces optional. Don't Risk Losing Your Kontiki To Sharks! Kontiki fishing with the PFS ShoreThing has a number of advantages. 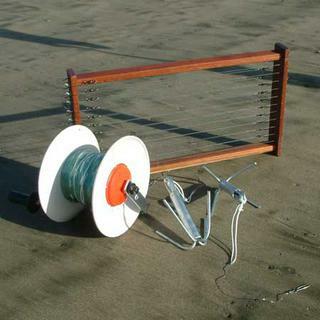 The ShoreThing prevents kontiki loss due to sharks biting through the hook section. Easily set across offshore banks and channels without slowing your setting speed. PFS also have in stock the most powerful and compact kite and kontiki winch in New Zealand plus Auto-pilot Seahorse and Predator Kontikis and a range of kontiki mainline options. 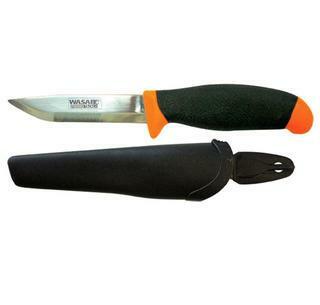 We also offer an expert mainline repair/replacement service. Watch the experts in action and learn all the correct techniques. 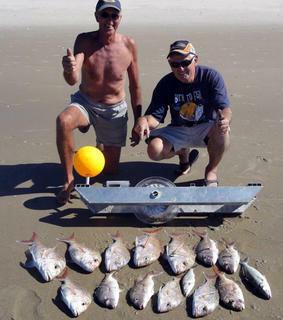 We have thousands of fishermen using our kite fishing systems around the world and they are casting their hooks 1000 metres (1100 yards) or more offshore and catching more fish - and having more fun doing it - than they ever thought possible! 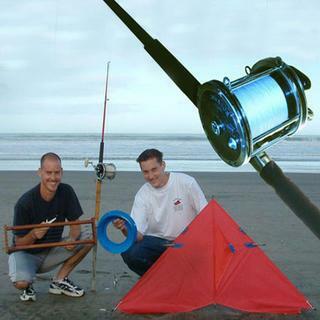 You are sure to find exactly what you need for your area and fishing style amongst our extensive range of fishing kites and ready to fish kite fishing kits. Catching Fish From The Shore With Fishing Kites is easy Kite fishing is productive and a load of fun for the whole family. 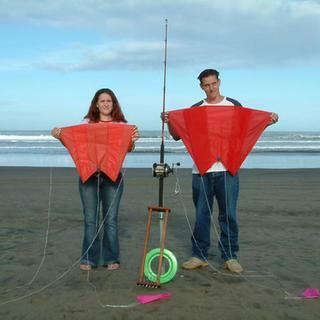 You can purchase just the Fishing Kites or Complete Kite Fishing Kits. Free Demonstrations of Big Dropper Rigs, Flexiwing Rigs and Pocket Sled Rigs. PFS have sourced the absolute best quality Underwater LED Flounder Gigging Lights available anywhere! Flounder Gigging Lights just don't get any better than these! Waterproof to 50 metres, American Made Cree LED Bulbs, Magnetic Switch, Fish Eye Lens to give a big spread of even light, Panasonic 18650A Rechargeabe Lion Batteries, Stainless fittings and Telescopic Handle. Burn time of four hours on full power ensures your flounder spearing trip has the best chance of sucess! 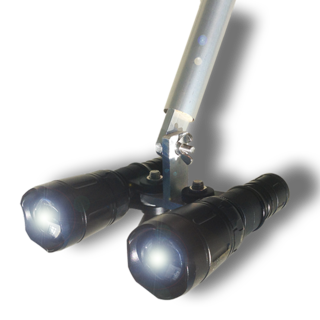 Check out our flounder gigging videos to see these powerful lights in action. PFS Spectra is a Pure Spectra Fishing Line (no fillers) which is manufactured in New Zealand. Brutally strong at minimum diameters, PFS spectra is very popular for kitefishing from rods and reels, deepwater hapuku, bass and bluenose fishing and is responsible for some great southern bluefin tuna catches. 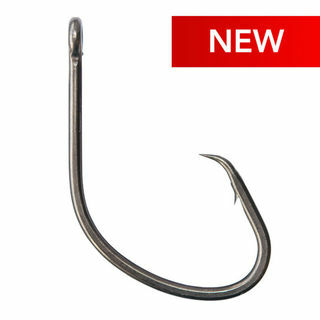 Available in sizes from 30lb to a massive 330lbs breaking strain! We have a rod and reel servicing department instore with our own rod binding machine and while you wait tip replacement service. 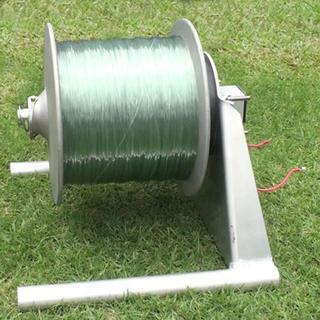 We also service and repair all fishing reels instore and offer a free line spooling service for all the lines we sell. Ring Morgan for more info Ph (09) 634 5005 or drop in and see us.